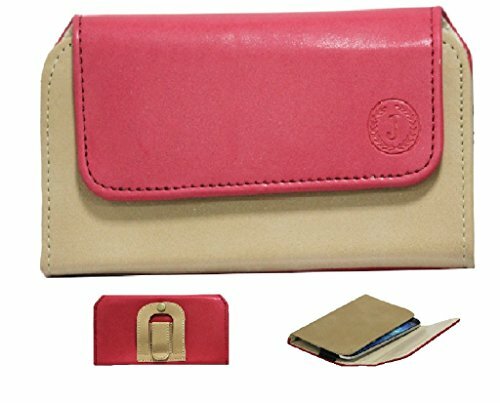 Jo Jo A4 Nillofer Belt Case Mobile Leather Carry Pouch Holder Cover Clip For Lava A76Â Red Beige@240 Rs [Mrp:-240] - Onlinedeals.discount - A leading product discovery website. Find the true prices of products, read reviews and buy top brand products at reasonable prices. Keep your Mobile safe in executive style in the leather pouch case for Your Mobile.Ultimate protection for your mobile. Protect your Mobile’s screen from harm without impacting it’s super slim profile. Protect the front of your Mobile from scratches, scrapes and front-on impacts with the cover. This cover takes your device inside it fully. This means that the most important part of the phone, the screen, is protected from harm without the added thickness and weight normally associated with other cases. It is designed specifically for use with the Mobile, so offers a perfect fit. Made from high quality synthetic Leather materials, this flip cover will keep your Mobile’s screen looking good as new. The cover is tough enough to withstand day-to-day punishment without blemishing, so both your phone and cover will stay looking sharp for long. Please note that the camera hole may differ as it is a universal cover.